Watch the stars sparkle as Oyster Boy attempts, once more, to be like all the other little boys, trick-or-treating with his "human" mask. This entertaining journal has twelve lights embedded in the cover, which illuminate in sequence with the push of a button. Original Tim Burton art is featured on the interior pages. 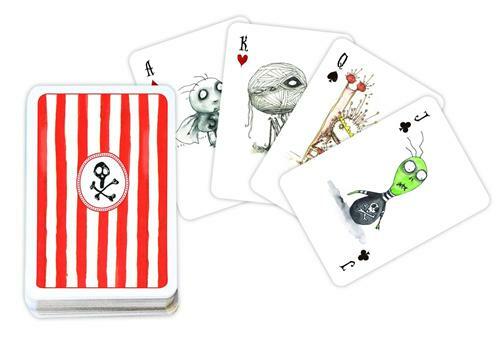 Tim Burton has overseen and approved this wonderful deck of playing cards featuring his beloved characters. Cute and creepy Kings and Queens and skull-backed cards will keep you guessing.